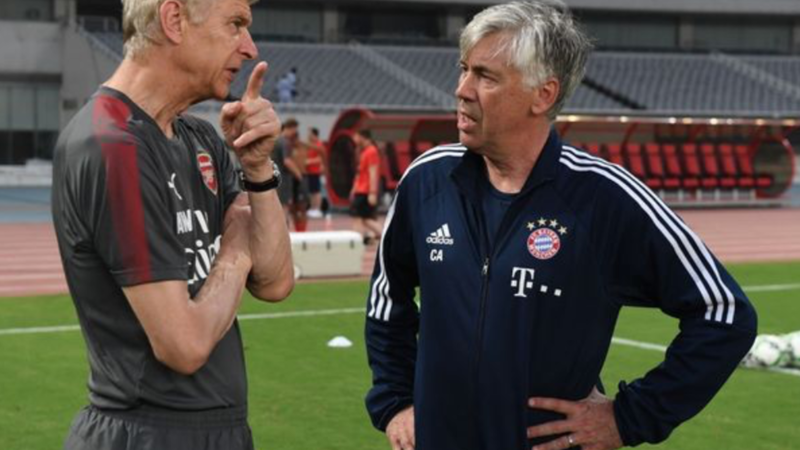 Italian CORRIERE DELLO SPORT is reporting that Carlo Ancelotti and Arsenal have agreed a 4 year term worth £40m to take over Arsenal post Wenger. Wenger signed a two year extension that would take him to the summer of 2019 but the likelihood of the long serving manager to leave at the end of 2018 season is growing with dizzying speed. Arsenal seems to have taken several steps backward this season, having lost out of the FA Cup in the 3rd round for the first time under Wenger to a Championship side, trailing the league leader by 23 points and conceded over 50 goals in 2017 calendar year. Arsenal was linked to Mikel Arteta, who played for the club before joining Pep Guardiola’s coaching crew at Man City but the news, if true of Carlo Ancelotti represents a major shift in the board thinking. Some fans had feared if Wenger was allowed to install his man in Arteta while he moved up to the board level, nothing will change, as he will still be able to influence transfer policies, but with an experience veteran like Ancelotti, Arsene Wenger’s influence even if he did join the board will be neglible.